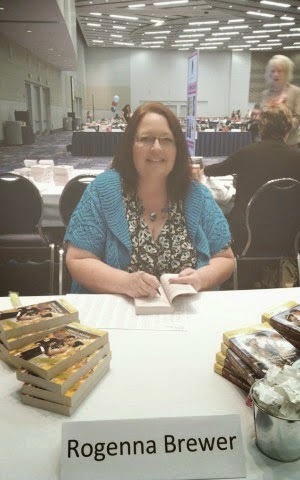 Harlequin SuperRomance Authors Blog: Thanks, Rogenna! 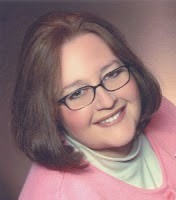 For over two years now, the task of managing this blog - changing the covers and calendar dates on the sidebar, adding new authors to both the appropriate page and the email loop, assembling the New Releases page each month, running the contest, and more - was ably and admirably handled by Rogenna Brewer. She carried out her tasks with efficiency and grace, all while writing for Super, self-publishing other works, building an eBook cover business, and - oh yeah - doing the life and family thing. And for a good chunk of that time, there was a day job in the mix as well! Ro has recently handed over the job of maintaining the blog, but we can't let her go without saying a huge and heartfelt THANK YOU for the hours and attention she has given to the blog. She has been a delight to work with. We send her off on her new adventures with much gratitude and a bucket of good wishes. Don't be a stranger, Ro! Thank you so much Rogenna, for all you've done to manage the blog, and for the warm welcome you gave me when I started. We have been so lucky to have you at the helm! Thank you for all that you have done for this blog Rogenna! Rogenna Thank you so much for all the work you put in running this site. I sure hope we will see you here now and again. Ro your work has been tireless and yielded benefits for all of us. Thank you so much and I'm excited to see where your career is going next…!! !